I forgot her name.What do I say next? I’m talking to the most boring person here and he’s my boss. I just walked in and I don’t know anyone in the whole room. The good news is that we already have the tools — WORDS! The even better news is that successful, confident conversation is possible for all of us. It is within our reach as long as we prepare, practice, pay attention, respect others, and make a personal commitment to developing our conversational prowess. Eager for that new Job? Pumped for that promotion? Expanding your business base? Or do you just yearn for more conversational confidence? 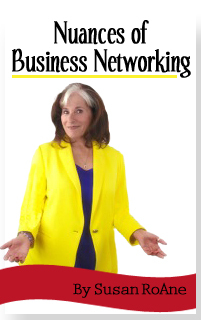 What Do I Say Next is your playbook for better business and social conversations. Read a sample chapter of What Do I Say Next? Whatever your goal, there’s simply one skill you absolutely must have to succeed – verbal fluency. 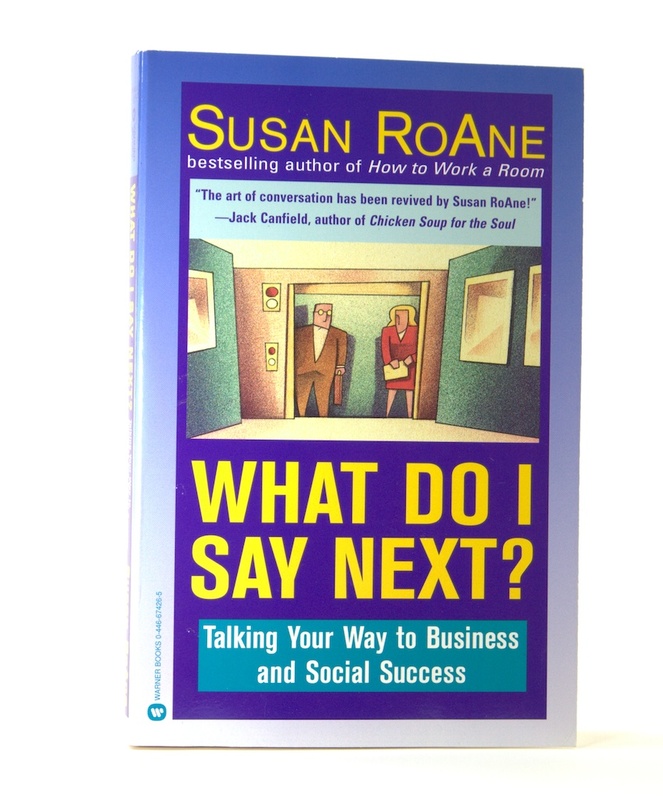 Now, Susan RoAne, keynote speake, communication expert and bestselling author, provides you with easy solutions, can’t miss guidelines and vital do’s and don’ts in the art of conversation… everything you need to have succesful conversations anytime, anywhere and with anyone. As featured in The Wall Street Journal, Working Woman, Teen Magazine, BoardRoom Reports, San Francisco Examiner, The Washington Post, etc.